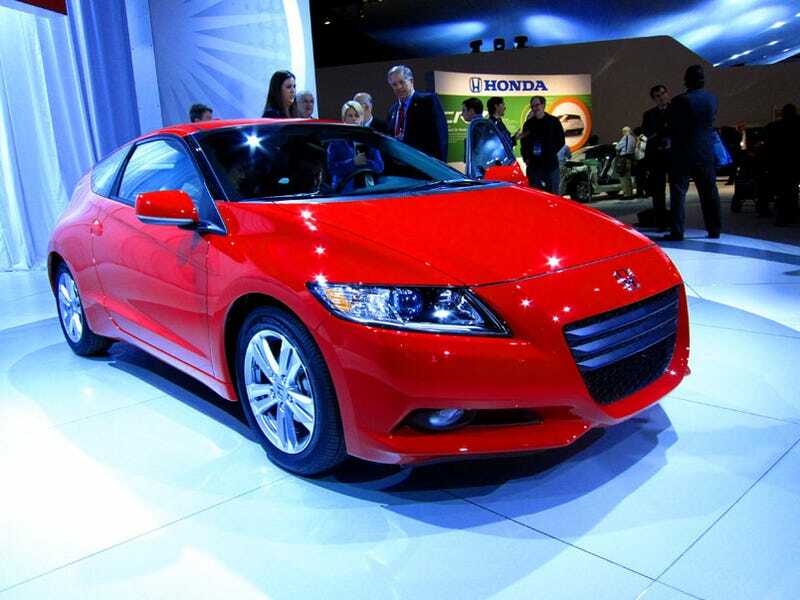 The Honda CR-Z is more than what lovers of simple, compact, sporty, lightweight Japanese cars were asking for. It's a simple, compact, sporty, Japanese car with an underpowered engine, heavy batteries, all for just 33 MPG. Not worth it. It looks like a new CRX, it's shaped like a new CRX, but this car is no new CRX. It's more like a rebooted first generation Honda Insight wrapped in new body without the sacrifices for sky-high fuel-efficiency. It is a new kind of hybrid, the manual six speed paired to the 1.5-liter i-VTEC 4-cylinder engine belting out 122 HP and 128 lb-ft of torque at a low-low 1,000 to 1,500 RPM (123 lb-ft for the automatic CVT version). It'll bring much-needed driver involvement into the hybrid equation, something we're intrigued to test out ourselves. We wonder about the necessity of the integrated motor assist system though, as the mileage for the manual is estimated at 31 MPG city, 37 MPG highway, and 33 MPG combined, the CVT is pegged at 36/38/37 MPG, respectively. We'll just be standing out on the porch shaking our canes at the young whippersnappers and their danged hybrids. Why, back in our day the CRX-HF got 50 MPG without fancy tricks and heavy batteries, and gosh darn it, it was fun to drive!